According to Professor Kevin Gildea at Carleton University, "Can Lit" was first taught in Canada at Carleton in 1970.
the diversity of literature which has developed during the twentieth century. Professor Gildea is teaching English 2802A this summer. Any History Majors out there should consider taking this course. This section of our web site,"Bytown or Bust", is Ottawa Literatures or, "Ott Lits". Duncan Campbell Scott, worked as federal Indian agent, negotiated Treaty No. Nine in Northern Ontario. Wrote poem Here is the Height of Land. assassinated on Sparks Street in Ottawa on April 7, 1868. In addition to being a poet, he had also written A History of Ireland. Ralph Connor from Glengarry County wrote The Man from Glengarry and many other books. This novel, written in 1901, is a classic in Canadian Literature. 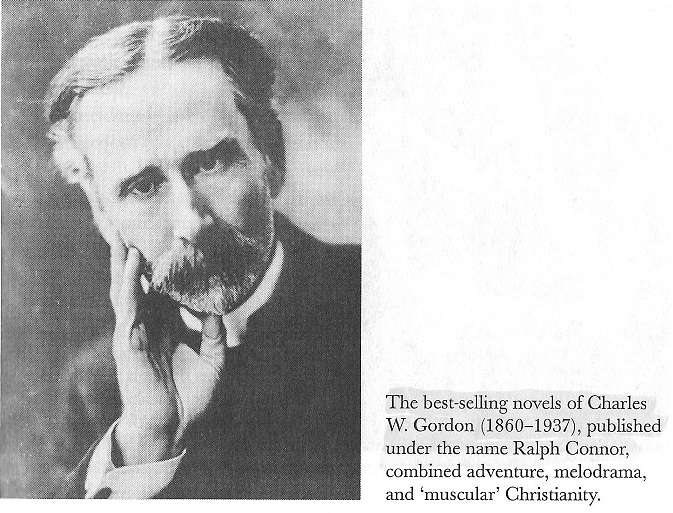 His real name was Charles W. Gordon (1860-1937). March 12, 2019: (post retirement) added photo of Ralph Connor. 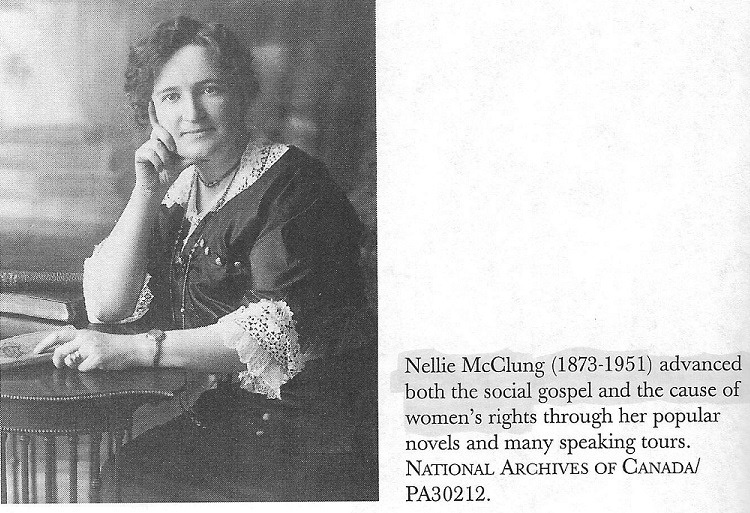 Photo Source: A Concise History of Christianity in Canada, by Terrence Murphy and Roberto Perin, page 223. William Mooney and Catherine Hodgins. from their web page. Literature reflects history. Usually "civilized society" as developed through arts and letters is a long time arriving in a frontier society. Here is a pioneer teacher and poet from Eastern Ontario who was ahead of his time. Parkinson, Oxford Township, Kemptville, South Gower, Ventnor, Spencerville, Ontario. lives have been shaped by a love of literature, such as the recently deceased Ottawa Poet, John Newlove. Michael Heenan also lived in McLaren's Landing on the Ottawa River. R.J. Devlin, a hat and fur merchant in downtown Ottawa, wrote advertisements in the style of Stephen Leacock. Bryan Cook has written a new book about William Pitman LETT. It is now available for sale.